Will eBay Stand with ALEC? On Tuesday, some 80 ‘progressive’ organizations (including Sierra Club, Greenpeace, Environmental Defense Fund, League of Conservation Voters, MoveOn.org, Common Cause, Public Citizen, and AFL-CIO) sent a letter to eBay’s CEO, Chairman, CFO, and General Counsel urging them to end the company’s support for the American Legislative Exchange Council (ALEC), the national association of conservative state legislators. It should be noted that it’s a business reality that some trade associations and other external groups that advocate for non-environment-related polices that are material to the success of eBay Inc. and our customers may at times hold and/or advocate for positions that conflict with our strategy with respect to climate and energy. As these conflicts are identified, our team of internal stakeholders meets regularly to assess the best approach for resolving these issues. I’m not sure exactly what that explanation means, but at least for now eBay is not joining the ALEC bashers. 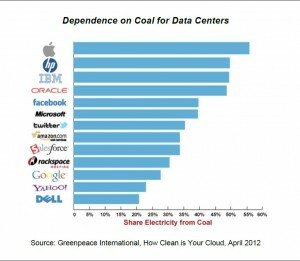 Nor does the company go all gooey green just because it recently built the world’s first fuel-cell powered data center. The aforementioned letter reprises the standard left-wing allegation that ALEC “threatens our democracy” by bringing together “state legislators and corporate lobbyists behind closed doors to discuss proposed legislation.” As I explained in a post about the defame-ALEC campaign when it first launched in July 2011, ALEC’s business-legislator task forces are evidence of skulduggery only on the anti-capitalist premise that corporations are evil and have no legitimate place in the legislative process. In fact, few ALEC critics actually practice what they preach, because ‘progressive’ politicians also routinely huddle with lobbyists when drafting legislation. For example, the corporate coalition called the U.S. Climate Action Partnership wrote the blueprint for the Waxman-Markey cap-and-trade bill. The difference is that whereas ‘progressive’ legislation typically aims to rig the marketplace to confer windfall profits on politically-correct companies and impose windfall losses on politically-incorrect companies, ALEC bills aim to remove impediments to free enterprise. ‘Progressives’ aren’t against business lobbying per se. It’s only pro-market businesses they seek to drive out of the marketplace of ideas. In their letter, Sierra Club et al. 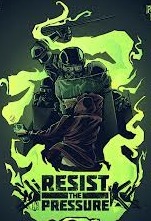 accuse ALEC of “denying the science on climate change” and “training . . . legislators how to block clean energy legislation.” ALEC members undoubtedly include many skeptics of the climate apocalypse, but ALEC has no party line on climate science. Rather, ALEC opposes policies that would harm U.S. competitiveness by handicapping plentiful, affordable, reliable, fossil energy. The dump-ALEC letter applauds Google and Facebook for breaking with ALEC over climate change. Well, it’s their money; they can do with it as they please. 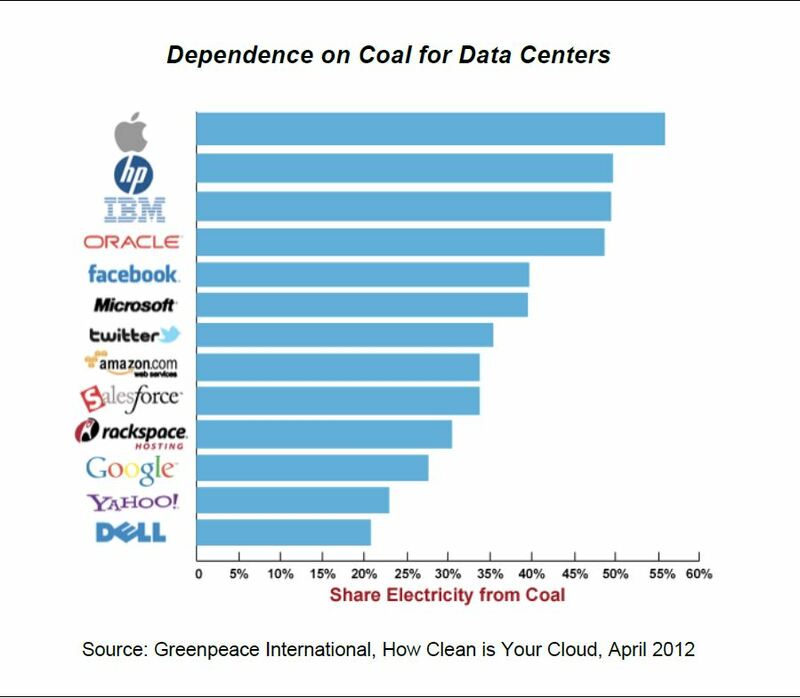 But do Google and Facebook understand that ALEC is defending one of their core interests — affordable, reliable power? The information-communications-technologies (ICT) sector is the fastest-growing part of the U.S. economy. The “ICT ecosystem” comprised of chip manufacturers, data centers, telecom networks, PCs, social media, smart phones, iPads, and everything in between, is the fastest-growing electricity consumer in the global economy. Coal is the largest and fastest-growing source of electricity, accounting for 68% of new supply over the past decade and projected to provide 50% of new capacity over the next decade. Because ICT companies require ultra-reliable power, climate policies requiring increased dependence on intermittent energy sources like wind and solar power also imperil ICT-sector competitiveness and growth. 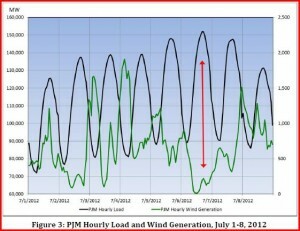 Electric demand is often highest on hot summer days when the heat is intense precisely because the wind isn’t blowing. 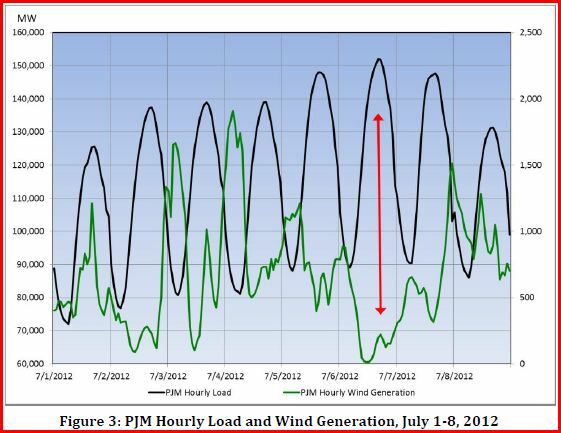 The graph below shows the mismatch in the PJM Interconnection Region between wind generation and consumer demand during the July 2012 heat wave. 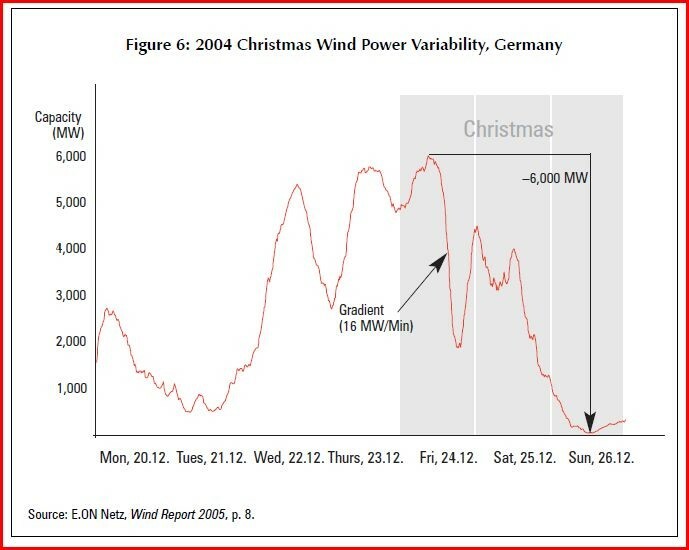 In three interconnection regions during 2009-2012, more than 84% of the installed wind generation infrastructure failed to produce electricity on days when electric demand was greatest. 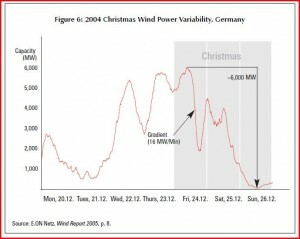 The disconnect between wind generation and demand can also occur in cold winter months. 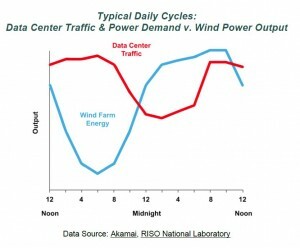 To bring this a bit closer to home, data center traffic is often highest when wind electricity output is lowest. 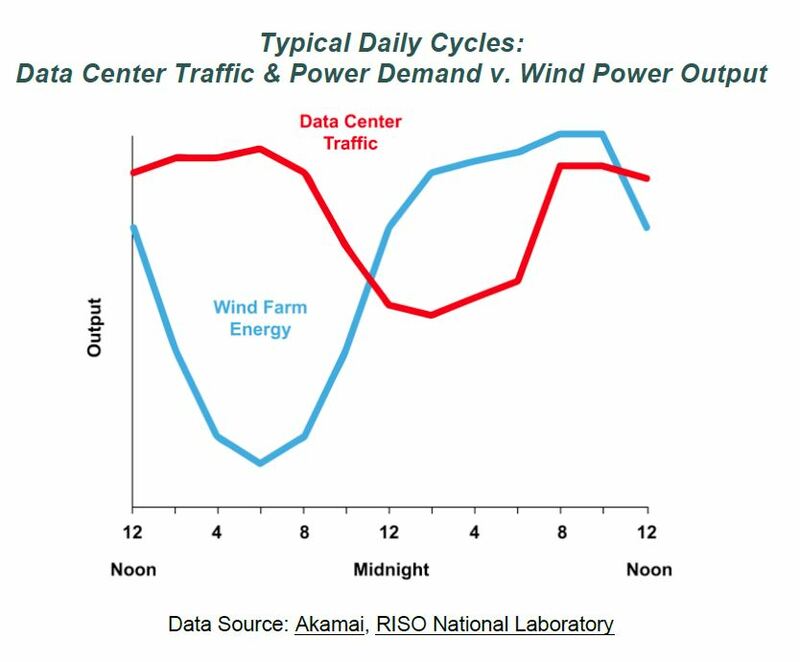 Renewable energy mandates don’t threaten grid reliability when wind represents a small fraction of the overall electricity fuel mix. 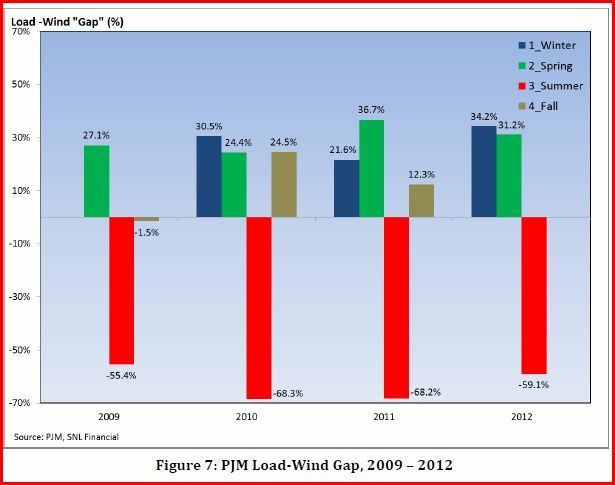 But many ALEC foes want an electric system dominated by wind and solar. Many want to ban fracking, without which gas-fired generation would become more costly than coal. Fracking bans would especially make electricity more costly if carbon pricing schemes push scores of coal power plants into premature retirement, and demand for gas rises sharply as supply falls. Many ALEC foes also oppose nuclear power, even though it is America’s leading source of zero-carbon electricity. Could Facebook and Google survive, much less thrive, in the ‘beyond coal,’ ‘beyond gas,’ ‘no nukes’ future envisioned by ALEC’s detractors? Next post: EPA’s Clean Power Plan: Strategy for One-Party Rule?